Last Sunday a low mist swallowed up the end of our garden. Gradually the sun rose and burnt it away to reveal one of those perfect September days, sunny and fresh. 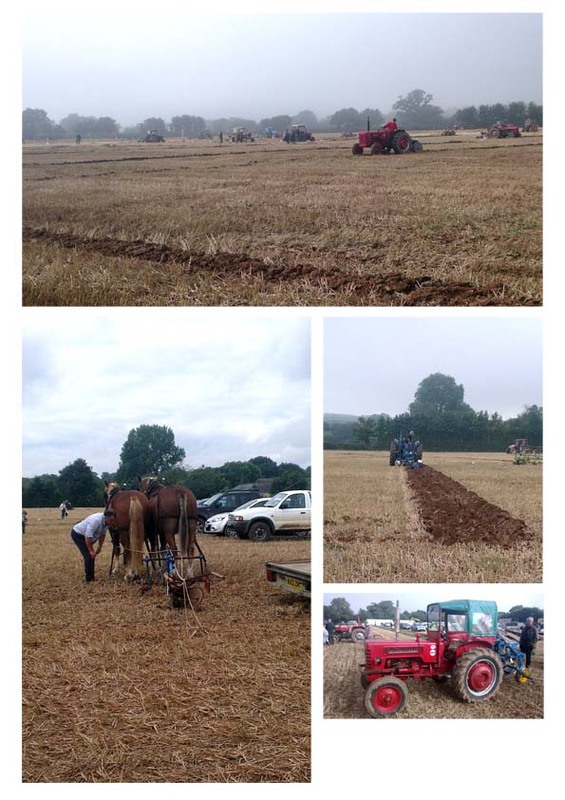 We took the opportunity to attend a local ploughing match. Donned in wellies and jumpers, we crunched across a stubbly field to watch the competitors, from horse-drawn ploughs right up to the latest computerised monster tractor, plough the perfect furrow. You can chart the path of agricultural mechanisation over the last century in the space of one field. These sorts of events were a staple of my childhood. My Dad worked in the agricultural engineering sector and can’t resist a tractor filled day out. I have to say, I love it too, the vintage tractors being a real highlight. For Little Owl it was the horses. 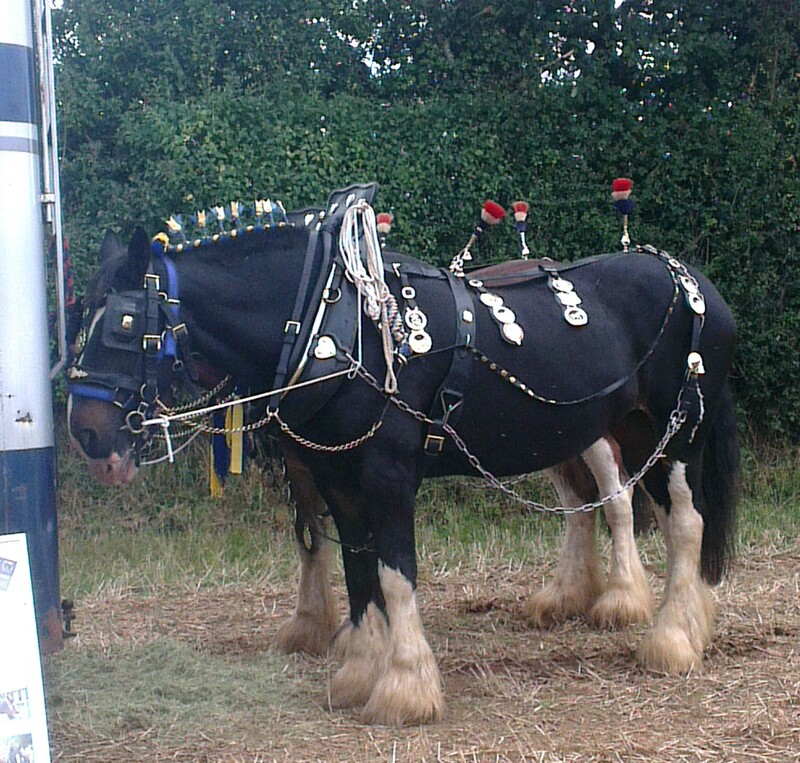 Below are a wonderful team called Sam and Poppet all done up in their brasses. When they got going all the ploughman could do was hang on for dear life! And against all the odds our local butcher managed to find us a goose for our Harvest Supper. Filled with apricot stuffing and served with all the trimmings it was delicious. Here’s to the harvest and all those who make it happen. This entry was posted in Cooking, Countryside and tagged agricultural mechanisation, agriculture, countryside, devon, horse-drawn plough, illustration, ploughing match, shire horses, tractors. Bookmark the permalink.